In every timepiece, there is a heritage of adventure and upon unveil, Suunto brings us its latest innovation that embodies minimalist design, premium material and zero compromise, especially when it comes to precision and reliability. However there is is a sort of vintage embodiment on this latest take from Suunto and encased with high grade stainless steel with premium coatings, sapphire crystals and premium vegetable tanned leather, this collection definitely leaves a lasting impression which oddly enough stands out profoundly unique from the rest. 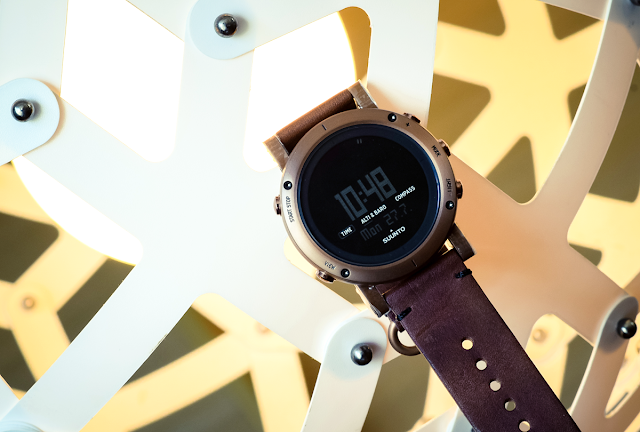 Designed and made in Finland, this newly introduced range is named the Suunto Essential Collection and as you can see from this particular copper piece at hand, this timepiece is rather different from Suunto's predecessors of dive computers and sports watches. In terms of minimalist design, its clean fine lines are the focal point that ensures that it can be worn on every occasion. With regards to functionality on the other hand, it also holds a standard barometric altimeter, barometer and compass mode. However all technicalities aside, let's bring forth the stunning shades in which the Suunto Essential Collections flairs and blooms in. All together, there are six editions to the range, the first four being the Copper, Gold, Carbon and Steel which have a brushed finish and come with leather straps. The other two which is the Stone and Slate variants, comes with a matte finish and an unique durable textile strap. 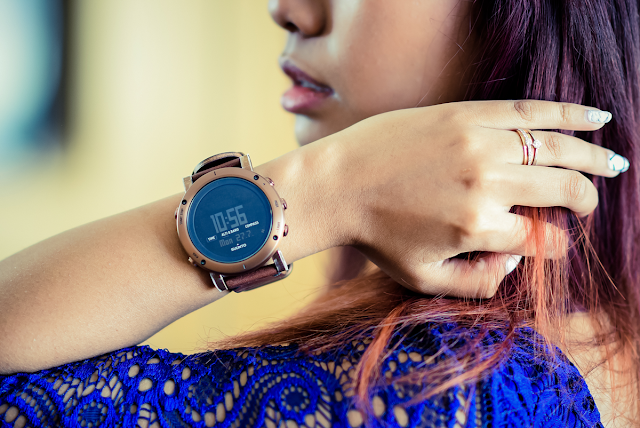 Depending on preferences, the Suunto Collection has a strong variety of colors but hinging on a personal note of leather straps and metallic hues, the first four editions would probably be my pick. Constructing in equal measure that blends the rough with the smooth, the rugged wilderness with man made perfection, The Suunto Essential Collection is available in Asia from January 15th 2015, globally from March 12th 2015 onwards. For more information, you can head on to Suunto's Official Website for further details.